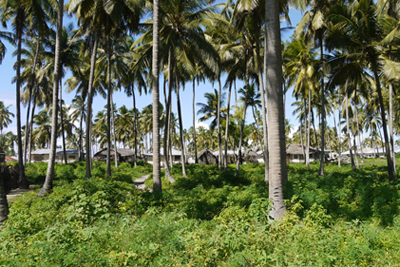 The village Michamvi, situated on a small, 10 km long peninsula on the southeast coast of the island, consists of two parts: Michamvi-Pingwe and Michamvi-Kae. 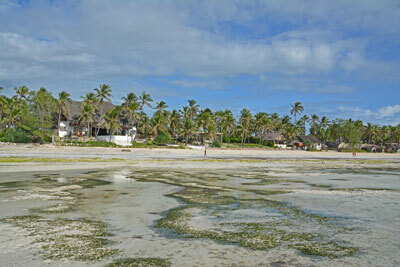 Michamvi-Pingwe is found on the right side of the peninsula, facing the east and the open sea. Michamvi-Kae is found landwards on the left side, facing Chwaka Bay. Hotel Matlai belongs to Michamvi-Pingwe. 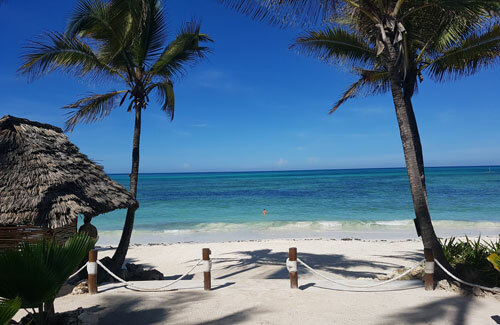 Coming from Zanzibar Town or from the airport, it is a one hour and 15 minutes drive on a good tarmac road. Taxis as well as Daladalas (public minibus) can be used. For the guests of our hotel transport from and to the airport and to other places of the island can be arranged on request. The peninsula is known for its stunning turquoise blue ocean, barrier reef and palm trees and you will find just a handful of high-quality beach retreats. The beach is mostly full sandy, but sometimes a bit rocky - it depends on the direction of the monsoon wind, that moves the sand around the island - an interesting natural phenomenon. 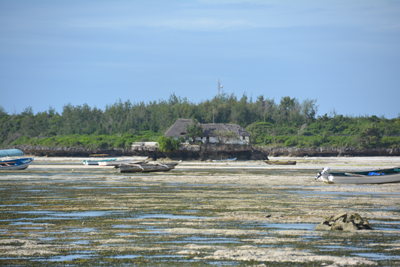 In our bay you can also swim during low tide in a tidal creek, where always enough water remains.